Babies and toddlers that are learning more than one language as they develop, are likely to face completely different challenges to other children their age. We’ve listed out some common things you might notice and some tips to help kids along their way. It makes sense that some kids might struggle to become fluent in any language when they’re trying to learn more than one at once. This is totally normal and they usually catch up with other children their age by the time they reach school age. Even if they’re hesitant to respond, just keep talking to them and asking them questions. Don’t worry if they don’t reply, hearing you speak is helping them with their languages. Songs are also really useful for helping learn how sentences work. We’ve developed some fun sing along songs for children learning English and Spanish in our Jingle Bilingual series. Are they starting a sentence in one language and ending on another? Or maybe they’re using the grammar for one language and the words for the other? This can create a confusing mix-match of words. By correcting them and using lots of repetition you can help them get their head around the grammar used in each language. Hearing you repeat the sentence they’re trying to put together will help them get to grips with the differences and they’ll slowly see where they’re going wrong. This is a tricky one, as usually kids will only learn to read and write in the language that they’re schooled in. It is hard for kids to become equally strong at reading and writing in both languages. There are some things you can do to help though! 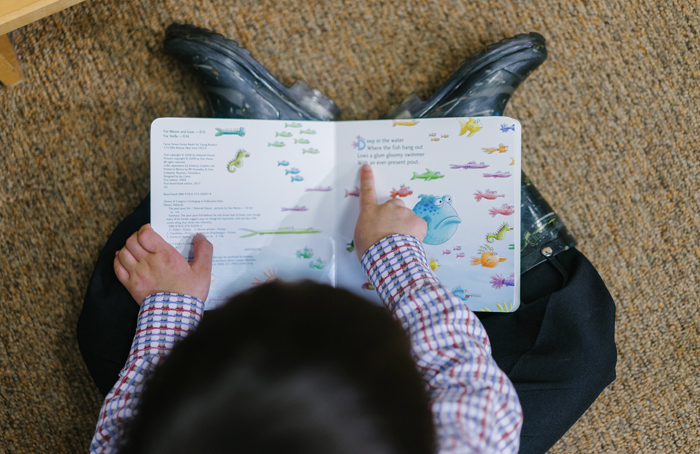 Finding games and books that are written in the other language (which they’re not learning at school) will help them develop their written and reading skills at home. 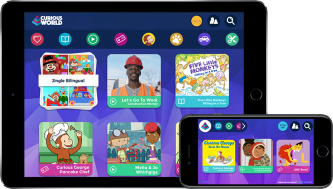 Check out Jingle Bilingual on Curious World if you’re looking for English or Spanish language development.